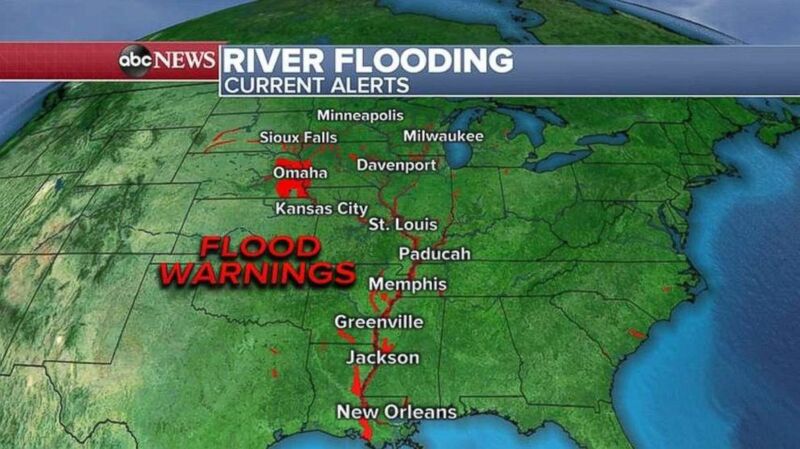 The Missouri River in Nebraska is finally receding, but downstream the river is rising — especially in St. Joseph, Missouri, and Atchison, Kansas. The flooding there could surpass what the region experienced in 2011, which was the worst since 1993. (ABC News) More flooding warnings have been issued this morning. 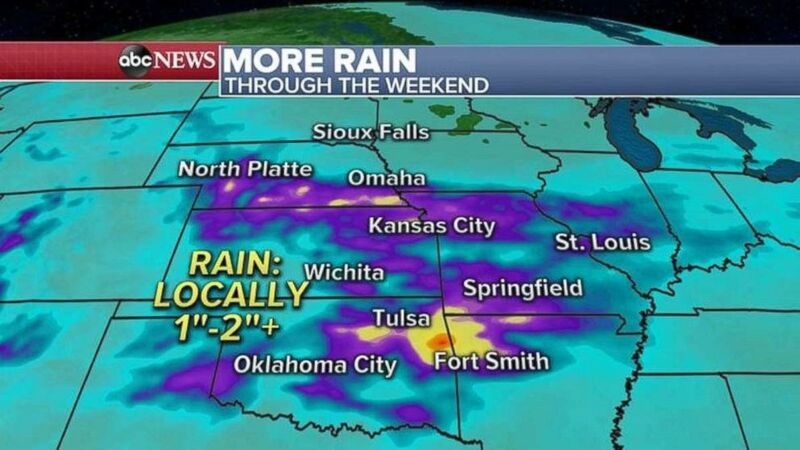 (ABC News) More rain is expected in the already-saturated Midwest.